Mobile Bingo Bonuses love it when new games become available as it gives us something new to play on. Lucky Pants Bingo have brought a game with not only sleek and stylish graphics but amazing sounds and playability, called Flutter Pays Slots. The game has 5 reels and 243 ways to win with a real jungle vibe that creates a relaxing feeling as you’re playing; just what we’re looking for. With the 243 ways to win, players have a greater chance to win big due to the games left to right combinations regardless of their position on each reel as well as matching symbols in any position in 2 or more adjacent columns, starting from the leftmost column. Within Flutter Pays Slots the wild symbol is a butterfly and is coloured in turquoise with Indigo and Amethyst on the wings. It can be used as a substitute for every other symbol except the diamond scatter symbols. The diamond scatter symbol is where 3, 4 or 5 trigger the Bonus Spins Feature that award 15 Spins. The scatter symbols also award pays of 1.50, 6 or 120 for 3, 4 or 5 such symbols. 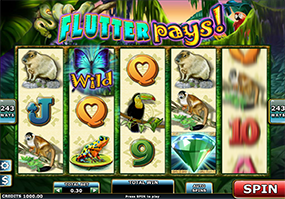 There’s also the original feature called the Floating Wild in Flutter Pays Slots which appears during the bonus games and substitutes all the symbols and awards random multipliers of up to 3 times. Where to play Flutter Pays slots! With Lucky Pants Bingo you can register and automatically receive a bonus up to 200% welcome bonus, that’s up to a potential £150 bonus. 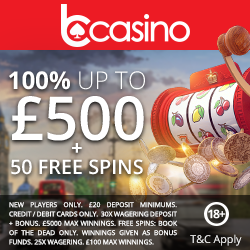 This promotion is open to all first time (new) depositing players on LuckyPantsBingo.com when you open an account (minimum deposit £10 and maximum £75). Plus there are also bonuses available on additional deposits. 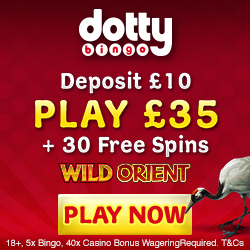 We’re sure that Flutter Pays Slots will be a firm favourite for many, but if you fancy a go then register with Lucky Pants Bingo and take advantage of their amazing offers.